The head gardener and I built the frame for a wooden fence (itabei – 板塀) in a restaurant. 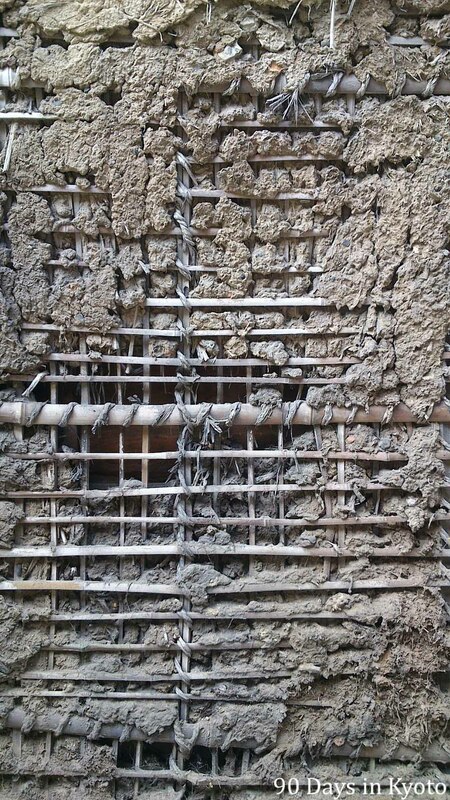 The existing dobei (土塀), the traditional earthen wall has gotten weak and is crumbling, which gives us a great view into the construction of it. A frame is built with wooden posts and a grid of slices of bamboo. Strings made of rice straw (kainawa – 櫂縄) fix the frames to each other. The mud is then thrown into the mesh.